LoRa32U4 II er en Atmel32u4-microkontroller med en LoRa-enhet og en Bluetooth/WiFi-enhet. Den har også en ladefunksjon for å lade et tilkoblet 3,7v LiPo 500mAh batteri som lades med USB-porten og leverer strøm til kretsen når USB-porten er frakoblet. Enheten kan programmers med Arduino IDE når LoRa32u4-kort er installert i hardware-mappen i Arduino-programmappen. Da kan eksempelprogrammer lastes fra en medfølgende Wire-eksempelmappe. Et eksempel er en master-reader som kan kommunisere til en master-writer som knytter sensorer og logger via i2C-bus på enhetene. Kommunikasjon kan skje over en avstand på opp til 20 km og passer kun til telemetrioppgaver. LoRa32u4 is a light and low consumption board based on the Atmega32u4, a 433/868/900 MHz LoRA module RA02 from AI-Thinker and an LiPo/Li-ion USB battery charging circuit. 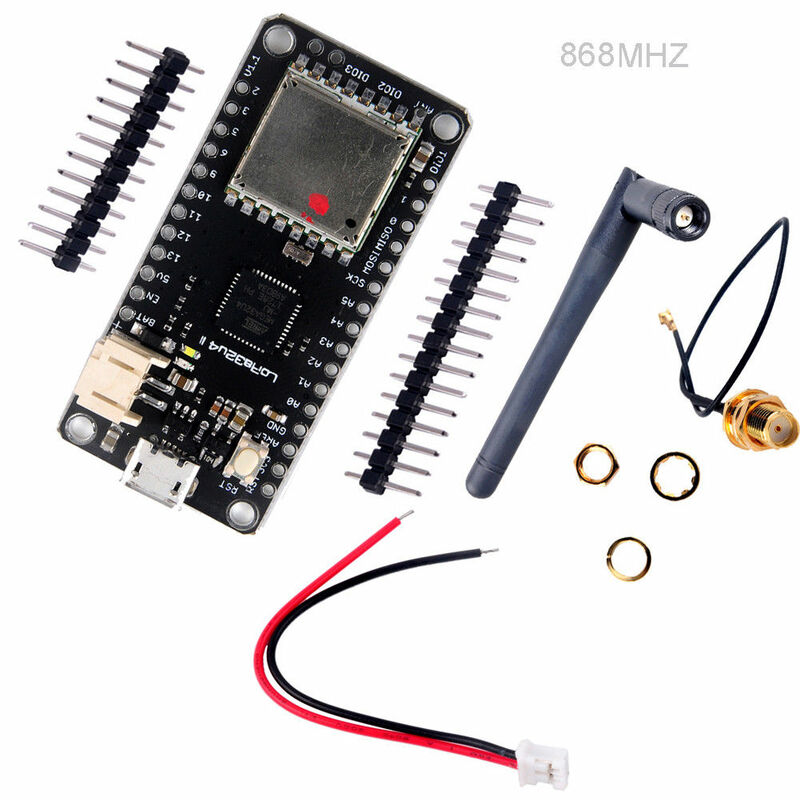 Ideal for creating long range wireless networks that can exceed 2.4 GHz 802.15.4 and similar, it is more flexible than Bluetooth LE, does not require high power unlike WiFi and offers long range. The ATmega32u4 is clocked at 8 MHz and 3.3 V. This chip has 32 K of flash, 2 K of RAM and built-in USB to Serial communication allowing debugging and programming capabilities without the need for an external FTDI chip, it can also act as an USB HID device (mouse, keyboard, USB MIDI device, etc). This board is equipped with a LiPo and Li-ion charging circuit and a standard battery interface. It is fully compatible with Arduino. A white user led is tied to pin 13. An orange LED is showing battery charging status.